MDF-Light is a low-density fibreboard that will perform well in situations where a lightweight end product is desired. It is similar in density to many species of timber used for commercial applications and it is easy to work with. Its lower density means that machine-tool blades will last longer. MDF-Light is suitable for interior fittings such as doors and wall linings. It can also be used for more creative applications, such as furniture, shop-fittings, interior signage and toys. 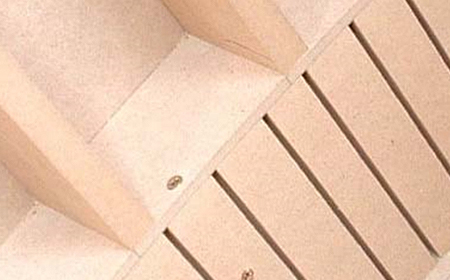 The lighter tone of MDF-Light makes it a natural choice for laminating with white or light-coloured overlays.